Most of my friends know that I go a bit dotty over dots and I love any opportunity to add polka dots to my life. 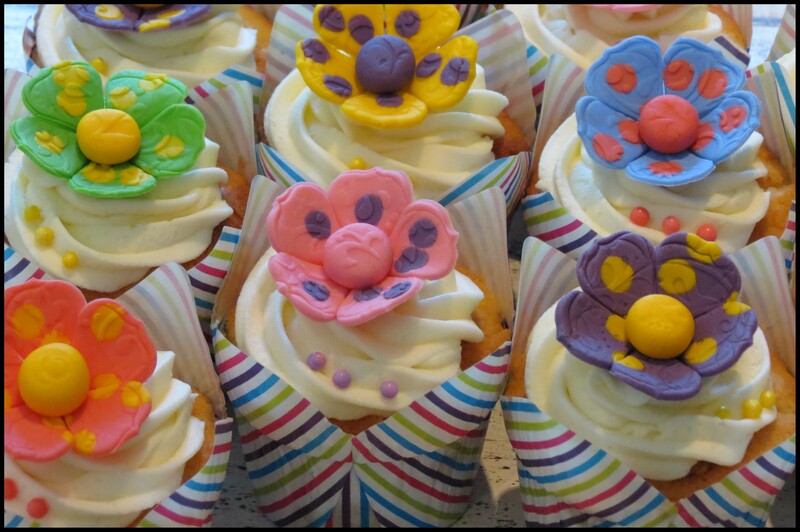 I am not sure if Debbie knew this when she asked me to do these Polka Dot Flower Cupcakes for her. I used a variety of colours and added small sugar paste circles to the colours before embossing and then cutting out the blossoms. I used contrasting sugar paste balls for the centres of the flowers and then pressed my embossing mat gently on to each centre to both flatten and emboss them. 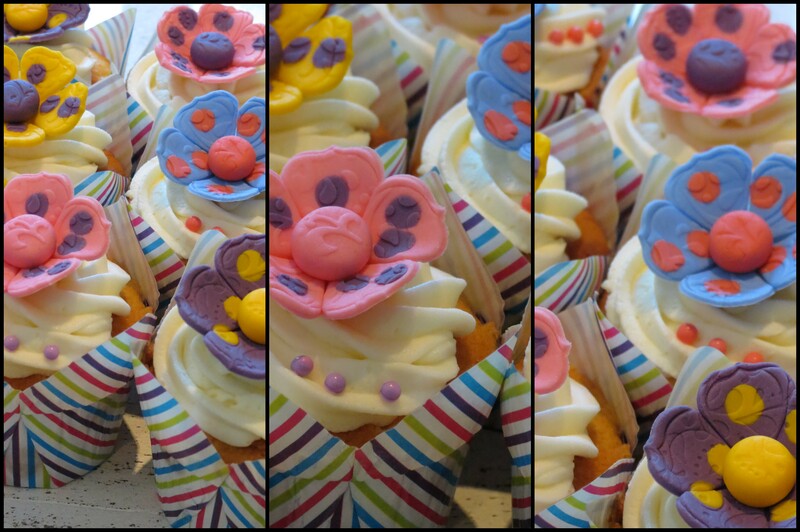 The result was these really charming and colourful cupcakes with their dotty flowers!